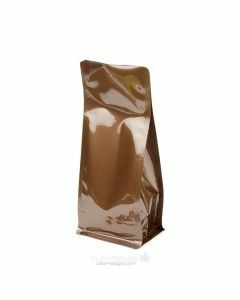 Box Bottom Bags provide the highest level of barrier protection. 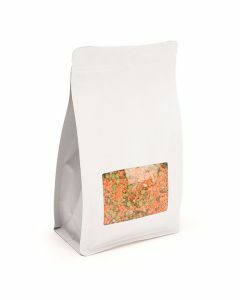 The base of our bag design mimics the style of a box and offers a sturdy foundation. 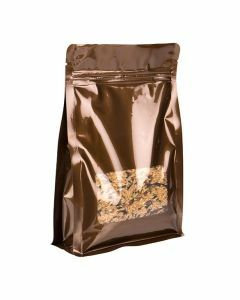 The larger top opening provides enough space for you to fill the bag and move through the packaging process with ease. 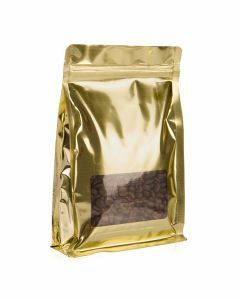 1/2 lb (8 oz) metallic bronze coffee pouch without one-way degassing valve is a high barrier bag, four sided quad seal gusset square bottom. Overstock Sale! Volume prices reduced while supplies last. 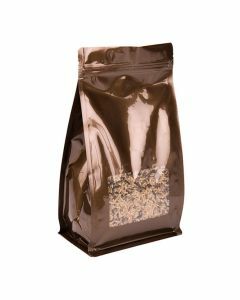 1 lb (16 oz) metallic bronze coffee pouch without degassing valve has a square bottom and quad seal side gussets. 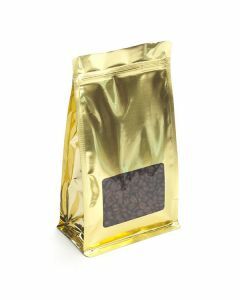 Similar to our stand up zipper pouches but with a metallized barrier and a clear rectangular window, these Shimmer Gold Box Bottom Zip Pouches uniquely mimic the style of a box. 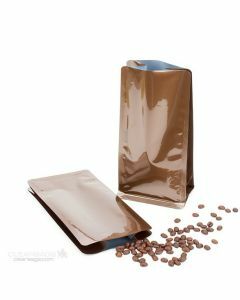 Similar to our stand up zipper pouches but with a metallized barrier and a clear rectangular window, these Bronze Box Bottom Zip Pouches uniquely mimic the style of a box. 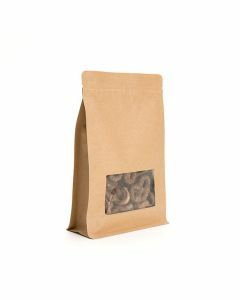 Similar to our stand up zipper pouches but with a metallized barrier and a clear rectangular window, these Kraft Box Bottom Zip Pouches uniquely mimic the style of a box. Window dimensions: 3 5/8" x 2". 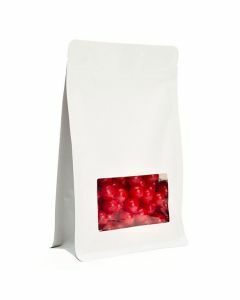 Similar to our stand up zipper pouches but with a metallized barrier and a clear rectangular window, these White Box Bottom Zip Pouches uniquely mimic the style of a box. Similar to our stand up zipper pouches but with a metallized barrier and a clear rectangular window, these White Kraft Box Bottom Zip Pouches uniquely mimic the style of a box. Window dimensions: 3 5/8" x 2". 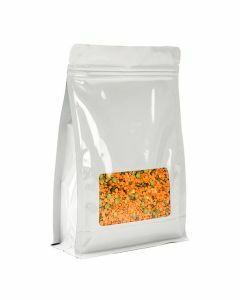 Similar to our stand up zipper pouches but with a metallized barrier and a clear rectangular window, these White Kraft Box Bottom Zip Pouches uniquely mimic the style of a box. Window dimensions: 3 5/8" x 2 1/2".